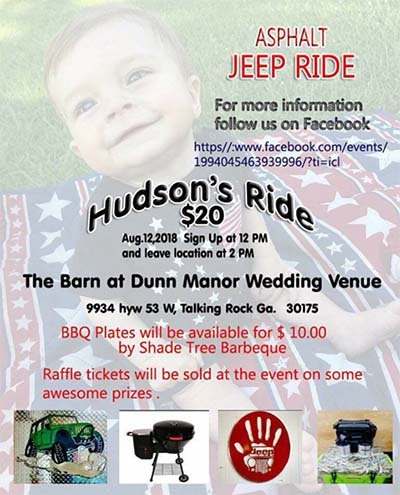 Jeremy and Nichole Carver’s son, Hudson, has been diagnosed with Gauchers Disease type 2 or 3. They will not know which type he has for another two weeks, and even then they have a TON of more blood tests to find out the exact makeup of his disease. Hudson’s best chance for a good fight would be type 3. Babies with type 2 do not live past the age of two. Hudson, Jeremy, and Nichole are being flown to VA next week to start ERT (enzyme replacement therapy) immediately, and to see the number one specialist, in the US, regarding Gaucher’s. The sooner he starts the treatments the better his outcome will be. Hudson’s infusions will cost thousands of dollars and they don’t know when, or if, insurance will cover it. He will have to receive these infusions weekly, for the rest of his life.